Multiple sclerosis (MS) impacts 1 out of 1,000 individuals in the United States. Symptoms usually develop slowly and get worse over time, becoming severe enough to interfere with daily tasks. When treating MS, it is important to understand how the immune system and brain interact. This understanding necessitates not only examining your immune health but to assess brain function as well. It is only when both of these systems are functioning optimally that the best results can occur. Patients with Multiple Sclerosis (MS) often suffer from symptoms including changes in movement, rigidity, balance problems, gait problems and visual changes. Symptoms usually develop slowly and get worse over time, becoming severe enough to interfere with daily tasks. Typically, symptoms begin on one side of the body and migrate over time to the other side. Other symptoms commonly reported by MS patients are constipation, depression, difficulty swallowing, difficulty thinking and understanding, flare, headache, heavy legs, numbness of face, rapid involuntary eye movement, sleep deprivation, tongue numbness, or difficulty raising the foot. Multiple sclerosis is an autoimmune disorder of the central nervous system. The immune system becomes confused and attacks myelin, which is the covering of nerves and axons that allows for faster communication. Another way to think about this is a highway. Imagine there is road work that has dropped the speed limit 20 mph. This will prevent you from getting to your destination on time and getting your tasks completed. The same thing happens within the brain and the spinal cord, which is why the symptoms are seen. Ultimately the inflammatory response is believed to trigger autoimmunity, which is where the bodies immune system becomes confused and attacks self-tissue. There are varied cofactors such as infection, genetics, and environmental interactions that lead to an inflammatory response. It’s important to evaluate factors that can influence progression, symptoms, and flare-ups to develop an appropriate treatment plan. Our clinicians not only have an understanding of the brain but have extensive knowledge of the immune system. They understand how the immune system and brain interact. This understanding necessitates not only examining your immune health but to assess brain function as well. It is only when both of these systems are functioning optimally that the best results can occur. Motor function analysis enables us to see the strength, tone, and coordination of the movement of muscle groups so we can better understand the regions and networks of involvement. Networks that are utilized in movement are the coordination of movement involve the frontal lobes, parietal lobes, and the cerebellum. 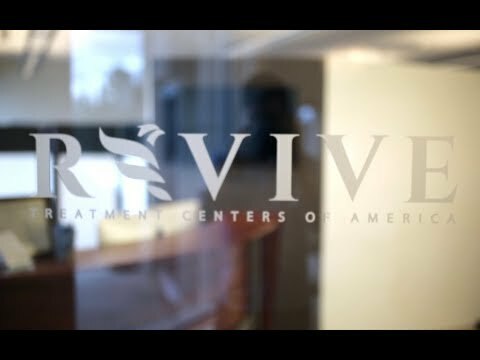 At Revive we specialize in providing treatment to the neurological regions affected by Parkinson’s. Your treatment can include balance, gait, and eye training; as well as hand-eye coordination, repetitive transcranial magnetic stimulation (rTMS), hyperbaric oxygen, diet, and supplements. Beyond the neurological system, there are many factors that can impact the presentation of Parkinson’s: the immune system, diet, sleep, and stress (to list a few). By integrating knowledge of the brain and influence of these factors, we are able to be very specific with targeted therapies which create lasting neurological changes. Your treatment plan is designed specifically for you and is not a protocol. An fMRI study of optokinetic nystagmus and smooth-pursuit eye movements in humans. Dynamics of saccade parameters in multiple sclerosis patients with fatigue. Inhibitory saccadic dysfunction is associated with cerebellar injury in multiple sclerosis. Video head impulse test can detect brainstem dysfunction in multiple sclerosis. Using endogenous saccades to characterize fatigue in multiple sclerosis. Impairment of Smooth Pursuit as a Marker of Early Multiple Sclerosis. Gaze stabilization and dynamic visual acuity in people with multiple sclerosis. Hyperbaric oxygen therapy for multiple sclerosis. Hyperbaric oxygen therapy and multiple sclerosis. The therapeutic use of non-invasive brain stimulation in multiple sclerosis – a review. Effects of Intermittent Theta Burst Stimulation on Manual Dexterity and Motor Imagery in Patients with Multiple Sclerosis: A Quasi-Experimental Controlled Study. rTMS affects working memory performance, brain activation and functional connectivity in patients with multiple sclerosis. Modulation of the Left Prefrontal Cortex with High Frequency Repetitive Transcranial Magnetic Stimulation Facilitates Gait in Multiple Sclerosis. Motor cortex rTMS improves dexterity in relapsing-remitting and secondary progressive multiple sclerosis. Is customized vestibular rehabilitation effective in patients with multiple sclerosis? A randomized controlled trial. Virtual reality in multiple sclerosis – A systematic review. Effects of a virtual reality and treadmill training on gait of subjects with multiple sclerosis: a pilot study. We utilize E-stim in many different waveforms to increase strength, increase self-awareness, decrease spasticity. The following studies are studies of individual waveforms and how they can affect strength, spasticity and awareness. Effects of functional electrical stimulation on gait in people with multiple sclerosis – A systematic review. Management of the symptoms of multiple sclerosis using functional electrical stimulation and exercise. A Multimodal, Nonpharmacologic Intervention Improves Mood and Cognitive Function in People with Multiple Sclerosis. Cold Laser Therapy has shown increases mitochondria production in cells, helping to decrease inflammation and increase healthy cellular activity. When the cold laser is utilized as a transcranial (through the skull) therapy we see an increase in brain activation to the targeted areas. Photobiomodulation and the brain: a new paradigm. Vestibular therapy is a very powerful tool in the world of neurological rehabilitation. When we look at brain development we see that movement drive brain growth and one of the most important areas for sensing movement is the vestibular system. When we utilize rotational therapy to active the vestibular system we see an increase in activation in several cortical regions.